Headquartered in Green Bay, Wisconsin, Terry Naturally® brand products from EuroPharma® represent the very best in clinically proven nutritional products. EuroPharma® specializes in bringing European-tested, unique natural medicines as well as proprietary custom formulations to the American consumer. With a passion for health and 40 years’ experience in the health food and nutritional manufacturing industries, President Terry Lemerond has researched and developed revolutionary natural products that provide effective results. 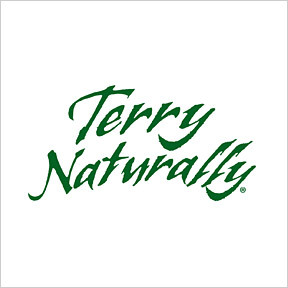 With the health of people, plants and the environment in mind, Terry Naturally® sources Non-GMO raw materials that are stringently tested multiple times to ensure that compounds and nutrients are clean, safe and effective, as well as accurately measured and standardized. Their adherence to cGMPs guarantees the highest compliance for manufacturing, ensuring efficacy, identity, purity, quality, strength, and composition. BosMed® Joint Comfort: 20% OFF This unique blend of clinically studied botanicals offers healthy joint support from head to toe. A proprietary formula, BosPure® provides standardized boswellia extract, known to support joint health and flexibility; clinically studied curcumin with turmerones which work to support joint comfort and function; and standardized devil’s claw shown in scientific studies to support joint lubrication. Gluten, wheat, soy, dairy, yeast, sugar and artificial ingredient free, non-GMO vegan formulation. CuraMed® + Turmerones: 20% OFF Formulated to promote a healthy inflammatory response, this unique product provides clinically studied curcumin rhizome extract, plus standardized turmerone essential oil compounds believed to support healthy neurological function and DNA replication. Gluten, wheat, soy, dairy, yeast, sugar and artificial ingredient free, non-GMO vegan formulation. Clinical OPC™: 20% OFF This standardized superior quality French grape seed extract formula provides highly absorbable oligomeric proanthocyanidins (OPCs) for maximum benefit. These powerful health supportive nutrients aid blood sugar, immune function and heart, artery and cellular health. Gluten, wheat, soy, dairy, yeast, sugar and artificial ingredient free, non-GMO vegan formulation. Thyroid Care™ Plus: 20% OFF This product supplies three key nutrients critical for healthy thyroid and complete metabolic function. Rejuvenating ingredients include iodine, L-tyrosine and selenium, essential nutrients necessary for thyroid hormone production and conversion. Gluten, wheat, soy, dairy, yeast, sugar and artificial ingredient free, non-GMO kosher formulation. Bacteril™: 20% OFF One daily softgel provides a safe approach to immune support without compromising intestinal health. This time-tested proprietary formulation provides oils of oregano, thyme, clove, and cinnamon blended with extra virgin olive oil in support of immune defense and heathy bacterial balance. Gluten, wheat, soy, dairy, yeast, sugar and artificial ingredient free, non-GMO formulation. AnxioCalm®: 20% OFF This top selling, clinically-studied proprietary formula is designed for relief of everyday stress, nervousness, and occasional anxiety. Safe and effective, AnxioCalm® provides support when needed without drowsiness or mental fogginess. Gluten, wheat, soy, yeast, preservatives and artificial ingredient free, Non-GMO formulation. This entry was posted in Home and tagged AnxioCalm, Bacteril, BosMed® Joint Comfort, Clinical OPC, CuraMed® + Turmerones, EuroPharma, Terry Naturally, Terry Naturally® - Featured Brand, Thyroid Care™ Plus. Bookmark the permalink.